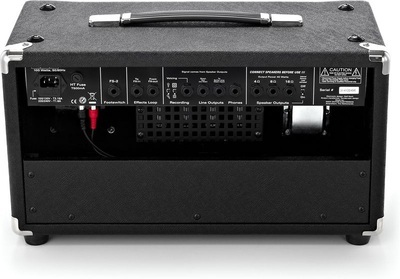 Koch Studiotone XL head overview. 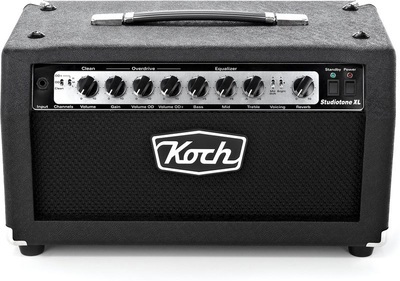 At first glance, you would be forgiven if you dismissed the Koch Studiotone XL as just another Tube amp. ​In classic Koch tradition, however, this compact 40W all-tube Head sounds much bigger, and has more features than one would suspect. 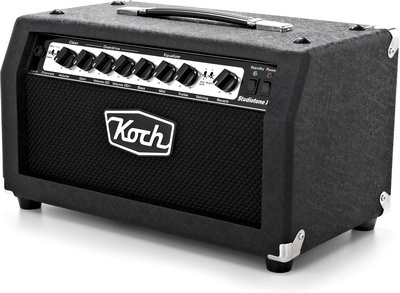 Beginning with four EL84 power tubes in Class A, a newly designed speaker and cabinet, three foot switchable channels, and two powerful voicing switches, the Koch Studiotone XL sound brings to mind the British valve amps of the 60s. 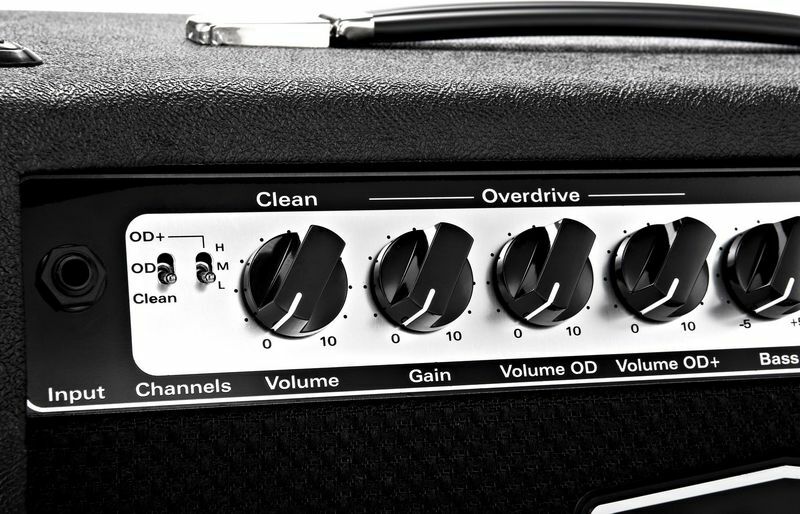 The three channels (Clean, Overdrive & Overdrive+, all with their own volume control) take you from round warm tones to saturated EL84 overdrive & compression. 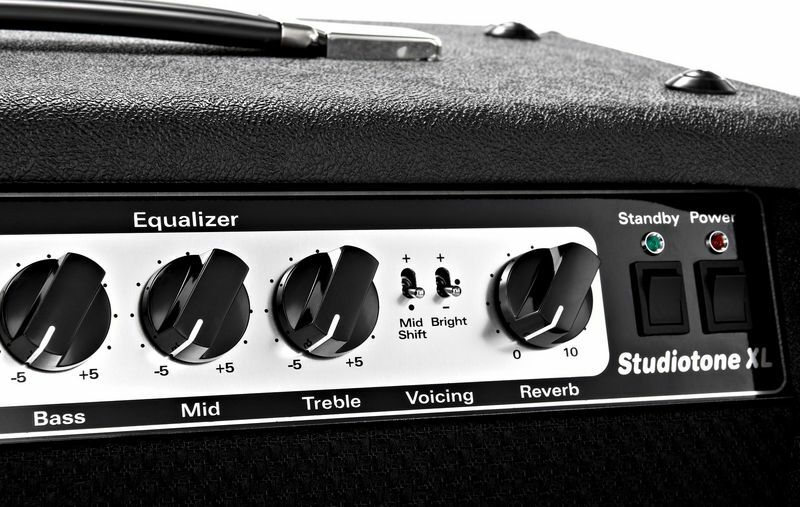 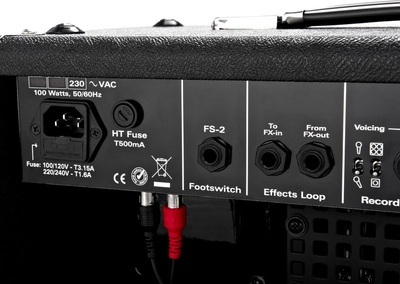 The 2-way ‘Mid Shift’ allows you to boost the mid frequencies around 800 Hz and the 3-way ‘Bright’ switch allows you to cut or boost the high frequencies for fine-tuning the top end. 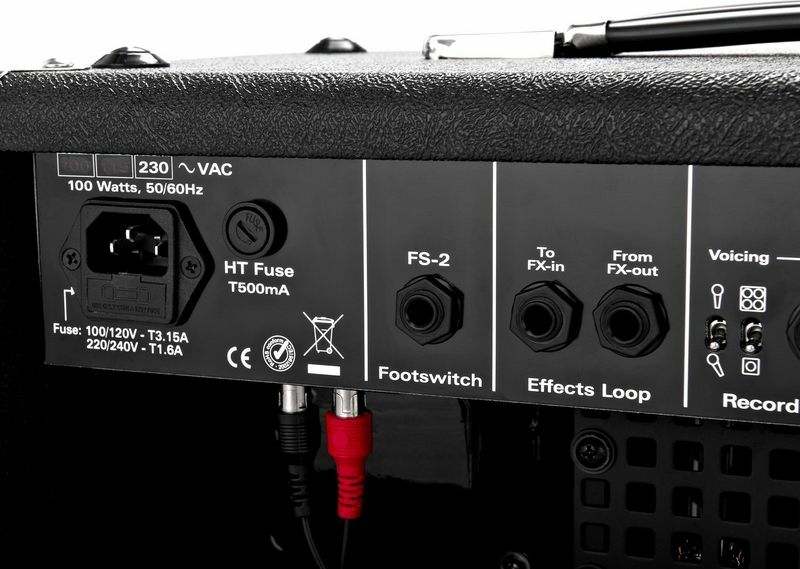 Some of the big surprises are left for the back panel though, and a quick inspection reveals a serial effects loop, a recording output with microphone placement and cabinet style simulators, two line outputs (one unfiltered and one low level) and a ‘Headphone Out’ jack. 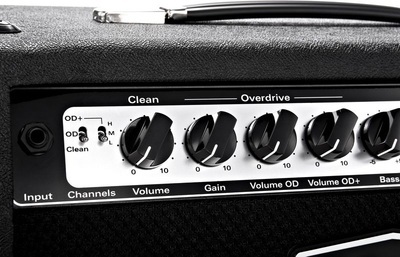 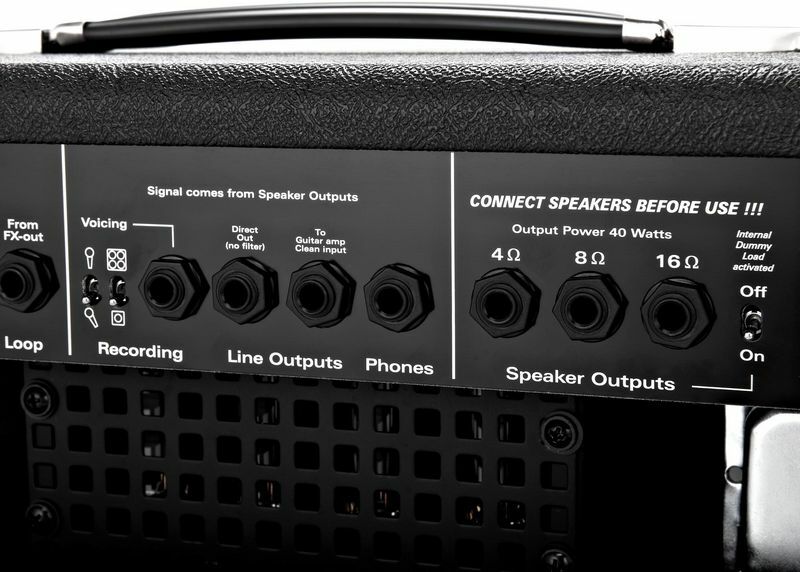 Speaker outputs at 4, 8, and 16 Ohm allow for any combination of speakers and the built in Power Soak snd Speaker on/off switch allow the amp to be played with the speaker turned off for recording or headphone use. 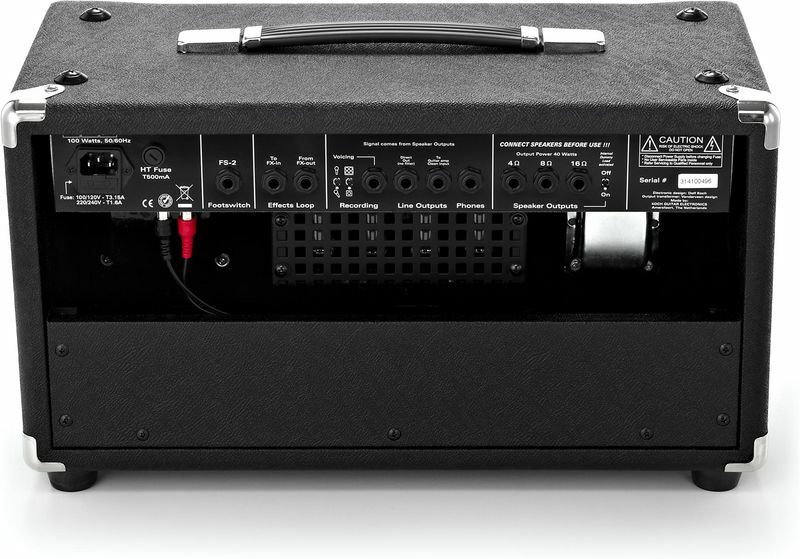 There is also a short scale spring reverb tank, with front mounted level adjustment. Koch Studiotone XL Head Specifications.